This is my first of many pose packs. I really enjoyed making this and I hope to continue making them! 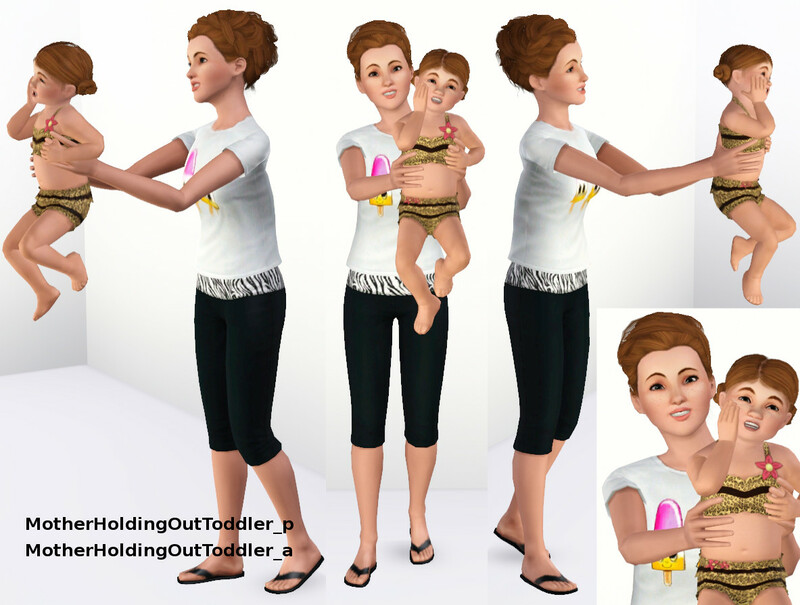 These poses are designed for your mother and daughter (toddler) Sims and I hope you like them as much as I do! You will need Pose Player installed into your game for these poses to work. You will also need, at least, The Sims 3 base game. Also, I have never done anything like this before, so if I left out information that I should have put on here, or if I did something wrong, please let me know!! Thank you! This entry was tagged daughter, mother, mother and daugter pose pack, poses, sims, the sims 3. Bookmark the permalink.